Is the bench press useless for the chest? When it comes to optimizing muscle growth many beginners will look to the classic three exercises in hopes of building up their body fast. If you want your lower half to look and perform powerfully than there’s no doubt that both the squat and the deadlift are exercises that will get you some massive wheels. 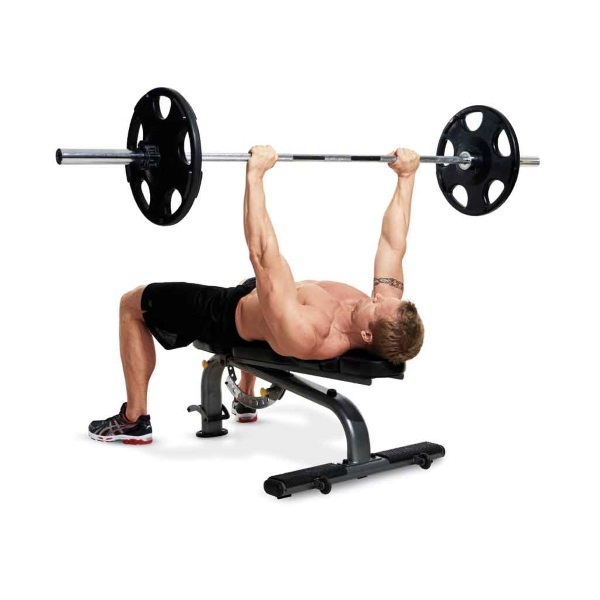 For the chest many will reference the bench press as being the go to exercise to get the job done. But is that really true? It appears that many people looking to build up muscle in their pecs may want to avoid the bench press. Why? Because has a muscle builder for the chest, the bench press isn’t the most helpful exercise there is. In fact it’s possible to perform the bench press consistently and not make any muscle gains. One reason for this is genetics. Another is that the exercise itself isn’t the best individual exercise for the pecs. Now that doesn’t mean you should completely eradicate the bench press from your training. Bench press is a great strength exercise that will get you more powerful in no time. For some it may even help to develop the chest, but that all comes down to how your body reacts to certain training. There’s a reason that the bench press is apart of the big three, so getting rid of it shouldn’t be an option. So if you’re looking to improve your chest what exactly should you be doing? Well, let’s leave it to Eliot Hulse to provide the answer to this much asked about question in the video below. Do you agree with Eliot Hulse’s opinion on the bench press?